It's fair to say, here in the UK we have had a pretty epic summer. The sun has shone almost constantly since June, and even now, where we would normally be moaning about the terrible weather and hoping for an Indian summer, we are still enjoying some pretty warm days. They are becoming fewer though, and the nights are drawing in. 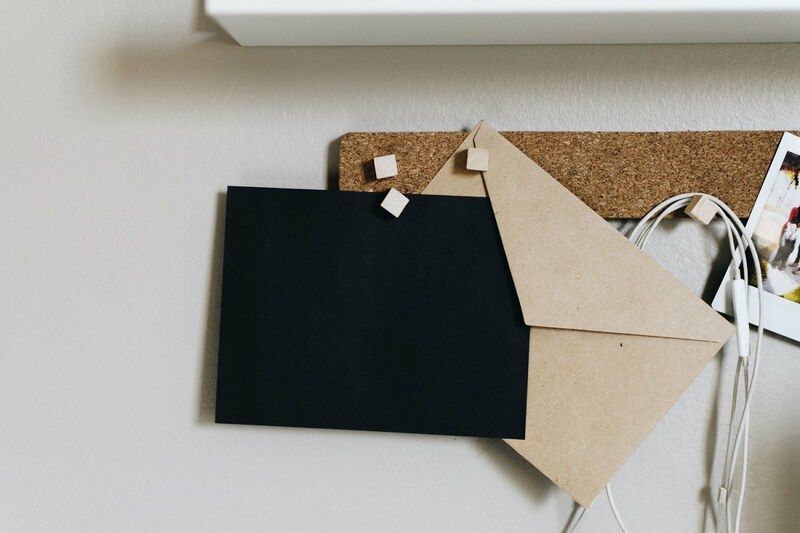 This week it's been noticeably darker in the mornings too, and I've been thinking about how to combat those low feelings the winter weather sometimes brings. You know, when it just becomes a little bit harder to stay positive? 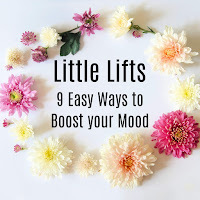 Here are my favourite ways to lift a low mood, I hope they help you too, when you're feeling down. Feel free to add your own in the comments. Everyone has a favourite song, I'm sure, but it can be a favourite for many reasons; maybe it reminds you of a special time, or carries an important message. Whatever the reason, certain song can really help to improve your mood. Whether you need to find some energy, or just feel a bit better about life, the right song can do the trick. Here are some of my favourites. It's important to have friends who you can offload onto, who will understand and not judge you. Sometimes even being that friend to someone else can help you too, because it takes your mind off your own problems for a while. Even if neither of you have any particular problems, just talking rubbish with someone who speaks your language can lift your spirits. It's always good to see people face to face, human interaction is beneficial in so many ways, but if you can't manage that, don't underestimate the power of the internet. Friends-in-the-computer can provide a valuable lifeline for people who are unable to get out for any reason. Some of my best friends, who I have the most in common with, live in my laptop! I also have a local friend who I go for walks with, which gets us both out of the house and into the fresh air too. This gets mentioned often as a stress reliever and general mood enhancer, but there is a good reason for that. Exercise releases endorphins (happy hormones) that make you feel a bit better generally, as well as giving you that smug feeling of having done something healthy. 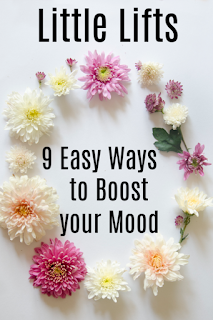 You can also tailor the exercise, depending on your mood. If you are feeling angry, or frustrated, you could pick something vigorous that will help you release your frustrations. If you are feeling stressed, you could opt for a long walk, or maybe even some Yoga. Personally, I go to the gym, which I love, and I'm also really fond of rebounding which is a grown up way of saying 'bouncing on a trampoline'. You remember that feeling of euphoria you used to get from bouncing as a child? You can do that now, it's a legitimate exercise. Bouncy castles don't count though, sorry. This is my favourite activity for cheering me up, but it only works if you are a clutter-bug in the first place! It doesn't matter what you clear out, it could be your make up, wardrobe, even a kitchen cupboard, the point is, a fairly mindless task can take your mind off things, as well as giving you something to work towards and a sense of achievement at the end. The best part for me, because I'm basically a child, is that I find things I forgot I owned, which is like getting a little present for your efforts. I love having fresh flowers, they really brighten a room and lift the spirits. If you pick something with a strong scent, like lilies, you'll get a lovely whiff as you walk past too. They don't even have to be expensive. At this time of year, I sometimes fill a small jug with lavender from the garden, which smells amazing and has a rustic charm. I was lucky enough to receive these beautiful blooms as a gift from my nephew's recent wedding and they make me smile every time I walk into the room. 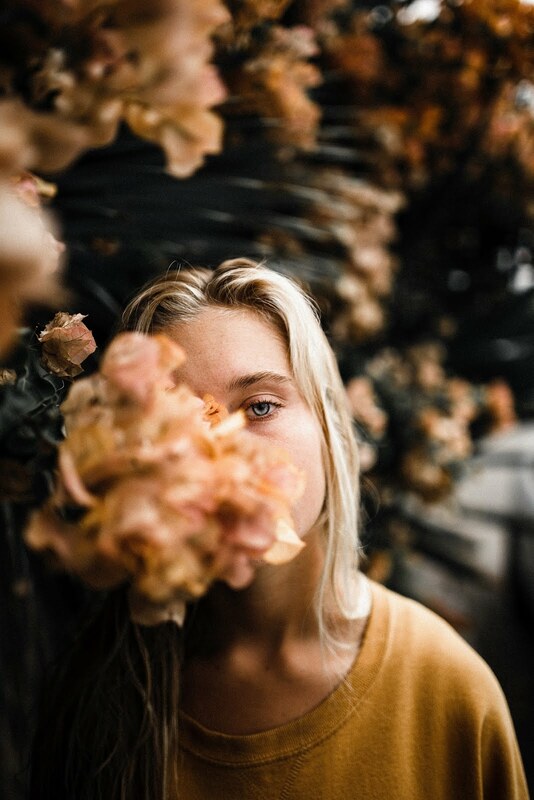 I know there is a belief that life shouldn't be about what you look like, but I believe that if you think you look like a bag of crap, you'll probably feel like a bag of crap. Spending some time on yourself is good therapy anyway, but if you look better, you will probably feel better too. If money isn't an issue, a trip to the spa works wonders, but if that's not an option, there are lots of treatments you can do at home, for not much money. This post on Low Cost Natural Beauty Tips might give you some ideas. My favourite product for a quick facial pick-me-up is Garnier Miracle Wake Up Cream, when I'm feeling particularly old and tired, it always makes me seem a little more... alive! ... Whichever you prefer. The point is to pick something you can get really lost in for a little while. A comedy, or a fantasy, whatever floats your boat, that two hours of thought-free me-time is a great way to give yourself a much needed break. It's what I love about the cinema; even if it's a film you don't especially want to see, you know where the children are for the duration and it's a chance to relax and unwind. Personally, I really enjoy the Marvel films for a true break from reality, there's just enough to concentrate on, with a lot of silly too, it's the perfect antidote to a rubbish day. This is another tip that involves making yourself look better in order to feel better. Spending time trying out a new hairstyle, or maybe a conditioning treatment is another good way to get a little me-time, but the simple act of brushing your hair is believed to release endorphins which should make you feel calmer and happier. Sometimes, for fun, I like to brush my hair upside down, so that I look like Chewbacca, but that's another story. If you find yourself really struggling to function when the weather turns grey and this problem occurs every year, you might want to consider investing in a daylight lamp. I reviewed the Lumie Brightspark SAD lightbox a couple of years ago and we still use it all the time. Not only is it great for counteracting the effects of a sunless weather spell, but it has other uses too. It's great for improving the quality of lighting for indoor photography, or if you need a really bright light for doing something fiddly, involving small parts. 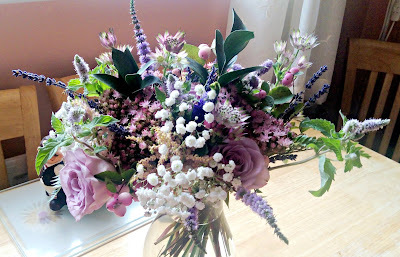 This post was written from my personal experience of sometimes feeling temporarily bleurgh and needing a little lift to cheer myself up. It is not intended as an antidote to more serious long term conditions. 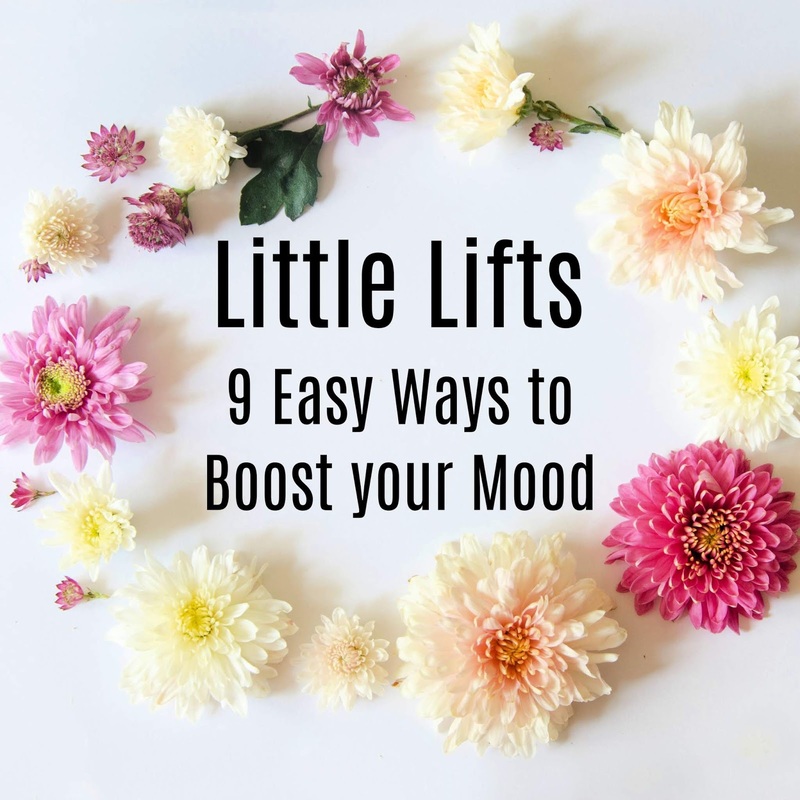 If you find yourself feeling very unhappy for a long time, unable to function as you normally would, or if you are unable to help yourself feel better, get help. Talk to a friend, family member or one of the charities listed below. Sometimes it's not possible to help yourself out of a bad patch, and that's not your fault. There's help out there, please take it. Great post this! I always fine exercise is such a key part of keeping me in a good mental mind! I am in a bad mood this Monday so I better go and do some decluttering with some music on! Great post! Music and flowers always cheers me up. Ah lovely list! Decluttering must be my fave on it and I always put me blue sky on to pick me up! Totally agree with all these points, I've never heard of a Lumie light mind, will have a look into those as they sound good! 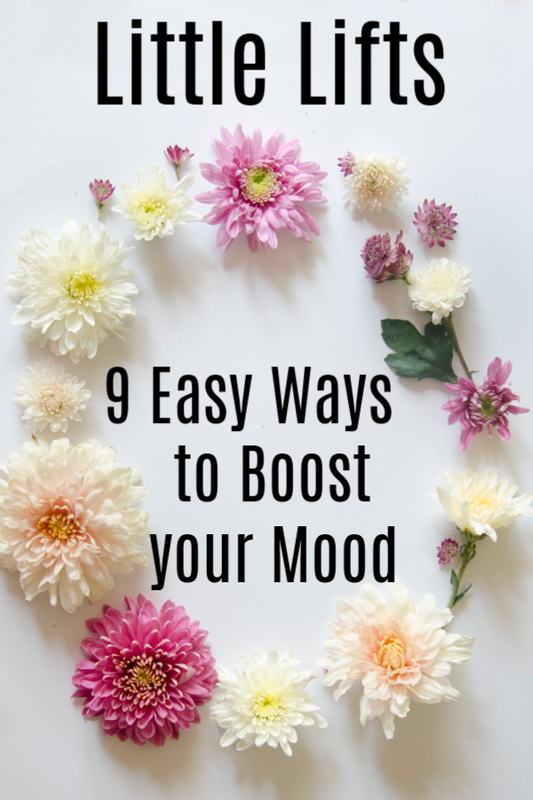 When it comes to boosting my mood I find exercise, listening to some of my favourite music, cooking, spending time with friends and family or a cosy evening on the sofa watching a film with my husband can work wonders. Music helps my mood everytime. Sunlight and exercise helps too. I always play some music in my headphones when my baby is asleep, it really helps me to relax in my own bubble - even if it's just a bus ride! Totally agree that the Lumi boxes are worth buying! They help so much around this time of year. I’m a huge devlittering and cleaning fan to get me going and give me a boost!